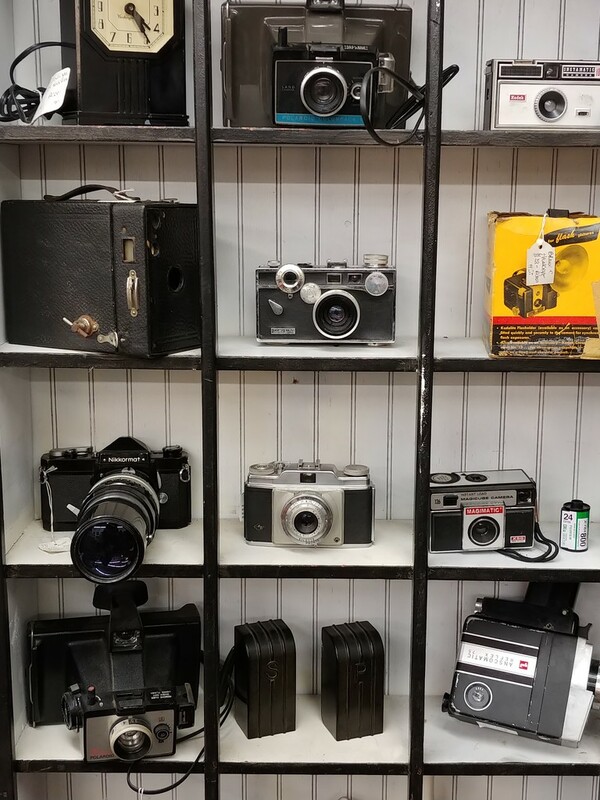 A display of cameras and a clock for sale at a vintage shop. What a wonderful looking display. Oh... I see an Instamatic- I used to have one of those! My first camera. I have a feeling you will not get many on here who think this is anything less than wonderful! Good catch!